Give the gift of travel with a Southwest Airlines gift card. The perfect gift to send anyone to any of our 85+ destinations. 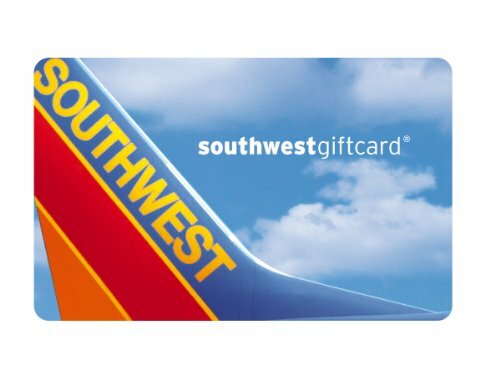 Our gift cards never expire, and they're easy to redeem-- online at southwest.com, by phone at 1-800-I-FLY-SWA, or at a Southwest Airlines ticket counter. No returns or refunds on gift cards. Why We Love This Gift: This gift card never expires. This allows those who need to travel right away to do so - it also offers the possibility of future travel. Appropriate for just about anyone in just about any situation, including people needing to seek expert medical treatment, explore greener pastures for work, or visit a sick relative. What To Express In Your Card: I am thinking of you. I know there are a lot of pressures on you - financial and otherwise. This was just a little thing I thought of to try to offset some cost. I am thinking of you all the time and I am sending you lots of love.